Congratulations to our ZOMBIE HUNTERs! Congratulations to our ZOMBIE HUNTER Blu-Ray winners!! 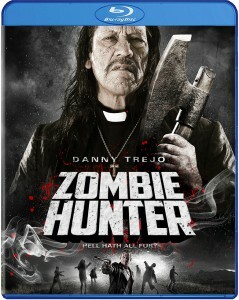 Win ZOMBIE HUNTER on Blu-Ray!!! Win ZOMBIE HUNTER on Blu-Ray from Well Go USA and Cinema Judgement Day!! Hey boys and ghouls! It’s Halloween time and what better way to enjoy your fun size Snickers bars than with a zombie movie? Did I mention it’s a zombie movie with Danny Trejo?!? 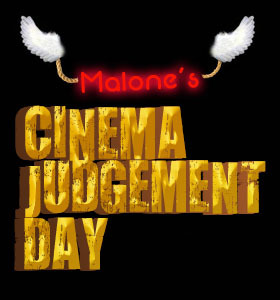 Well Go USA and Cinema Judgement Day are giving away Blu-Rays of “ZOMBIE HUNTER” to 2 lucky readers. All you have to do is send us an email with “Zombie” as the subject line and your name and mailing address in the body. The contest will run until Saturday 10/19. Winners will be notified via email and announced on the CJD website on Sunday 10/20. Good luck!!! The whole month of October is like one big celebration. Oktoberfest brings beer, the fall harvest brings pumpkin-y goodness and Halloween brings ghouls and goblins. Nothing is more fun than bundling up on a cool fall evening, sipping some pumpkin ale and watching a scary movie… unless that scary movie features Danny Trejo as a zombie killing priest! Well thanks to the good folks at Well Go USA, said movie, “Zombie Hunter” hits Blu-Ray on 10/8. While it isn’t exactly scary, the film promises plenty of zombies getting their butts whooped.